Description: A genus of 6 species of deciduous trees related to elms. Native to Europe and Asia. 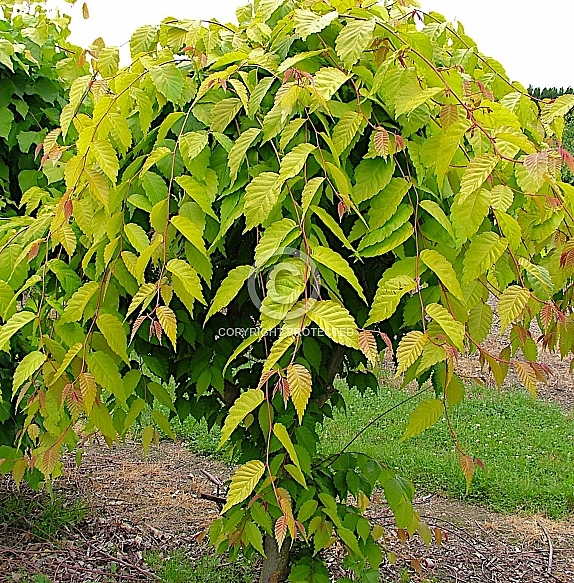 Zelkova serrata 'Kiwi Sunset' is a New Zealand raised selection noted for its highly ornamental spring and autumn foliage in shades of wine-red and bronze. Pruning to keep the bush compact will often result in a large shrub with very ornamental weeping, long branches. Deciduous. Hardy to both cold and wind. 6m.